The Alumnae Association and its volunteer leadership are making it easier for alumnae to connect professionally in their hometowns with Regional Professional Gatherings. Local alumnae leaders host the events, which center on a professional discipline, such as law or energy. The first gathering held in February, in Washington, DC, was “Alumnae in Nonprofits.” Co-host Charlotte Kea ’82, a deputy director at the Peace Corps and former president of the Alumnae Association’s board of directors, says the event was a great way for alumnae to meet informally. “Most of the time was for mingling and chatting. I sat with a small group focused on international development opportunities, and we discussed how to enter that field and strategies for getting jobs,” she says. 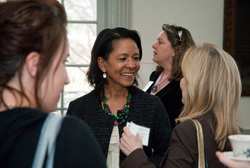 While some of the events, like “Alumnae in Nonprofits,” are informal, the upcoming “Powering Up! 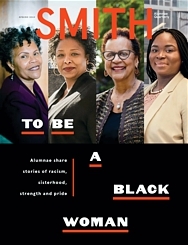 Smith Women in Business,” to be held at the end of March in Los Angeles, will feature several panel discussions on a variety of business trends and topics, as well as remarks by President Carol T. Christ about what’s happening at Smith today.